Daniel and Daisy rehearsing with the group in Belmont Hut. 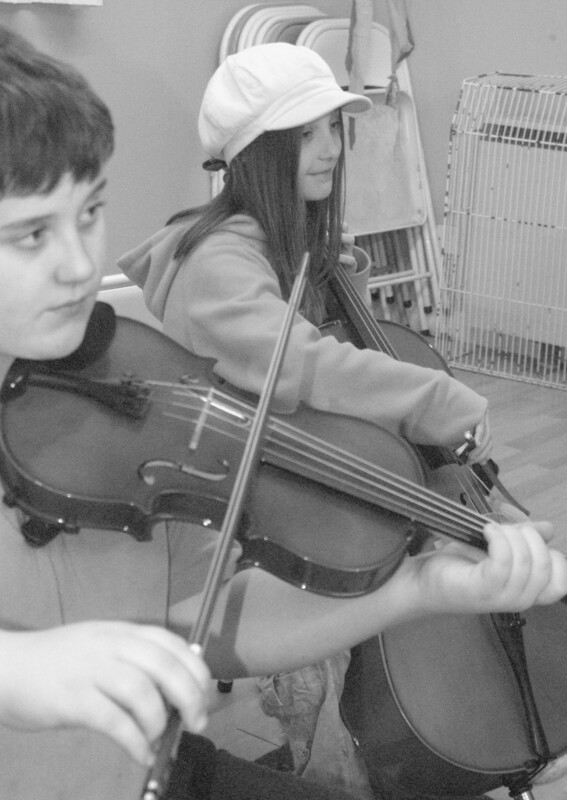 For orchestral string players aged 12 – 14 of between grades 4- 5+ standard. Run by Deborah Hamilton. Deborah composes many of the pieces especially for the group which enables each member to have a suitably challenging part within the ensemble. Playing in a small group requires special skills, both musical and social, that differ from the skills required for playing as a soloist or in a large group or orchestra. Listening, awareness, responsiveness and flexibility are all things which can be talked about in lessons but learned so quickly through chamber music experience. Members of Super Strings are encouraged to develop as a group through active discussions on musical phrases, technical ideas, repertoire suggestions and creative ideas for the development of the ensemble.